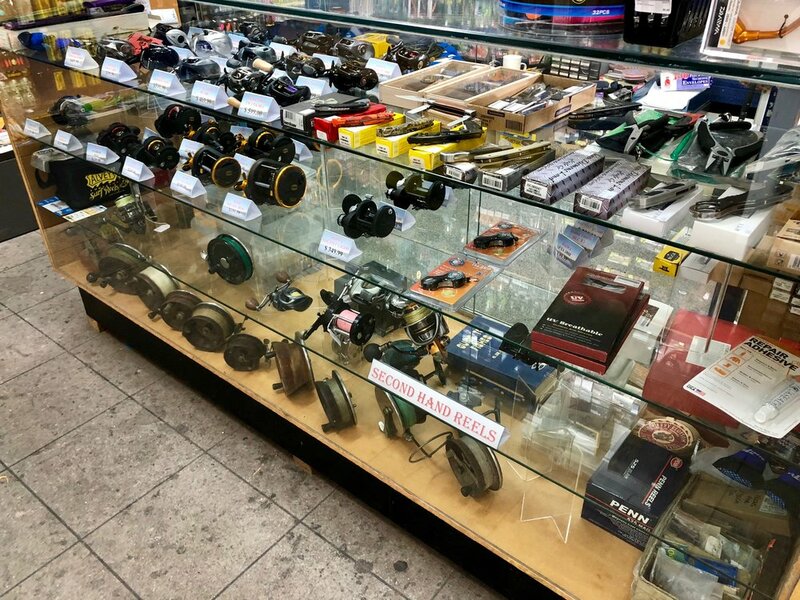 Hooked-On has everything you could need to get out fishing in our local region. We cater for all budgets and skill level from entry level to top end. We Stock all the top brands. Hooked-On is very well known for our extensive lure range. The bait selection is all you could need from local supplied live and fresh bait to premium frozen product. Top service is what they are renowned for and the team will gladly spend all the time you need, from showing first hand rigging techniques, basic knot tying with free local maps and tide sheets to optimise your Fishing Noosa experience. Along with referrals to the best charter services to use in the Noosa region for both Noosa River and Noosa offshore. All in a very low pressure relaxed friendly atmosphere. Plus many more not listed, come in store to see our complete range!